The main platform is fully CNC-machined from aluminum, and includes exchangeable shock/diff stands and transparent plastic cover. 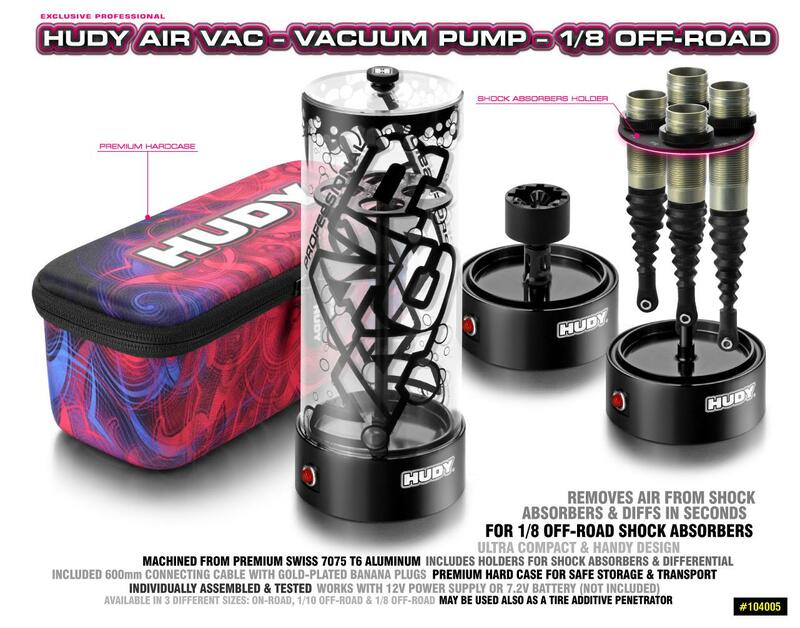 Air Vac includes strong & effective vacuum pump that is powered by 12V power supply or 7.2V battery (not included). Includes holders for shock absorbers and differential, 600mm connecting cable with gold-plated banana plugs. Comes in a premium hard case for safe storage & transport.